Bath therapy is an increasingly popular way of treating your body for a multitude of ailments. Bath therapy is an increasingly popular way of treating your body for a multitude of ailments. Our everyday lives subject us to all sorts of things that can be harmful to not only our bodies but also our minds. Bath therapy is a convenient, non expensive way to address these ailments given that most homes have a bath so you can enjoy it in the comfort of your own home. Time is always a factor in our busy lives, rushing from one place to another, so bath therapy at home is a perfect way to relax without having to go anywhere and not costing you a fortune. It is unlikely that a today’s medical profession would tell a patient to take a bath for good health, but it is recognized that a hot bath can help you relax and reduce stress, which is important in disease prevention. A hot bath stimulates blood circulation and calms the nervous system and also helps relieve aches and pains associated with muscular pain or spasms, arthritis, inflammation, menstrual cramp and haemorrhoids. If you suffer from insomnia, try taking a bath right before bedtime. 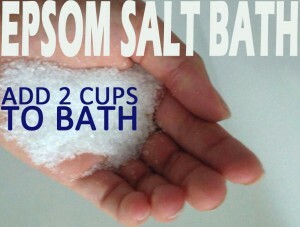 Taking an Epsom salt bath is long known as a natural remedy for many health problems. 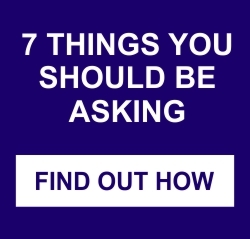 It’s not actually salt, as such, Epsom salts is a mineral compound of sulphate and magnesium which are both readily absorbed through the skin. By soaking in an Epsom salt bath, you are literally soaking up the fabulous health properties that magnesium and sulphate bring. Magnesium plays a very important role in the body by helping to reduce inflammation, promoting muscle and nerve function and also helps to prevent hardening of arteries. While lying in your Epsom salt bath, you are combating a multitude of health concerns. Stress is a dangerous ailment that affects many of us. It drains the body of magnesium and magnifies levels of adrenaline. Because Epsom salts is absorbed through the skin, magnesium is replaced very quickly in times of stress. Taking a salt bath 3 times a week will help you feel better, look better and give you loads of energy. Magnesium reduces irritability, improves concentration, improves a healthy sleep and helps the nervous system and muscles to function properly. 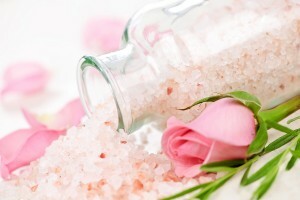 Salt baths are beneficial for reducing muscular pain, bronchial asthma and headaches by reducing inflammation. Also, helps reduce hardening of the arteries and blood clots and relieves constipation. Sulphates flush heavy metals and toxins from the cells, reducing the amount of harmful substances within the body. Add your favourite essential oils to your Epsom salt bath for some added aromatherapy to help relax your mind, body and soul. 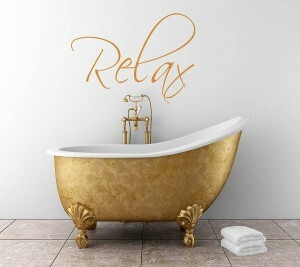 So whether you have health issues or just need rejuvenating, an Epsom salt bath should not be overlooked. Relax in the comfort of your own home and soak in this age old remedy. Absorb the goodness of magnesium and sulphates for better health all around.